When locals hear the words ‘Liliha Bakery’, there tends to be a salivate-and-lick-your lips type reaction. 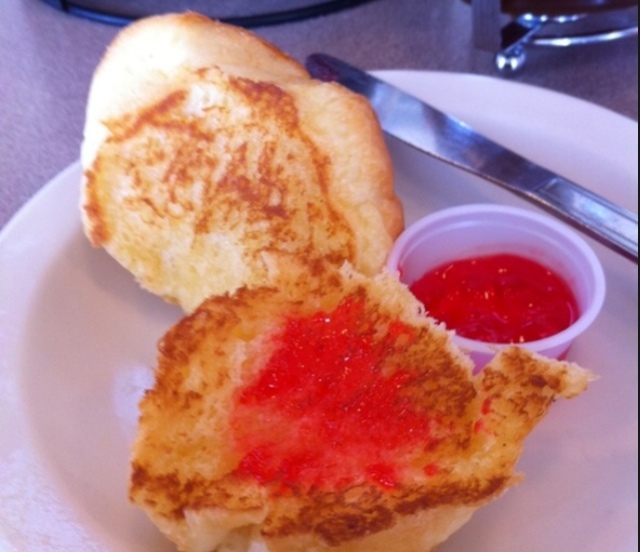 Automatically, thoughts of Liliha’s pancakes and hot grilled butter rolls come to mind. It’s the go-to spot when you’re craving something warm, buttery and sweet and has become Hawaii’s most popular bakery. Located on Liliha Street in Honolulu since 1961, Liliha Bakery is a household name if you are from the Islands. This little shop was created, owned and operated by Roy and Koo Takakuwa in the 1950’s and featured only loaves of bread on the menu at the time. But as their popularity grew, Liliha Bakery expanded to offer a variety of fresh baked goodies and eventually moved to Kuakini Street, where they still exist today. I remember the first time my mom brought me to the bakery. I was the little kid that couldn’t wait to get his hands on something sweet. 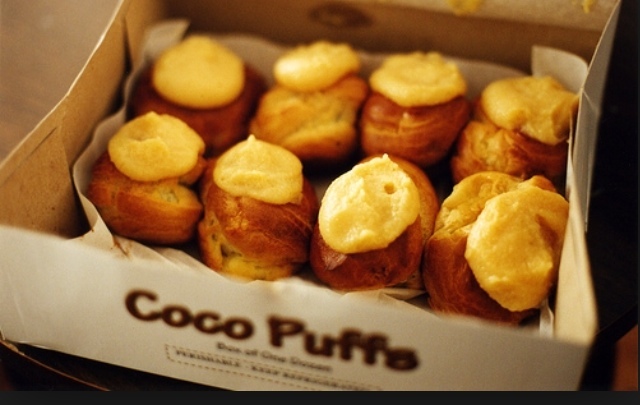 And at Liliha, it was always the famous coco puffs that I was after. It was a little different then though- there was no Chantilly frosting on the top- but I didn’t know the difference. I loved it just the same. In 1970, the coco puff recipe changed and the Chantilly dab on top turned the mediocre dessert into a Hawaii symbol. It has been featured in numerous write-ups, TV shows and most recently, Hawaii Five-0. Coco puffs are highly sought after and never cease to satisfy. Just give them a try and you’ll quickly see what all the hype is about! Not only does Liliha have incredible bakery items, pies and cakes, but it also features an old-fashioned diner counter where customers can sit down and enjoy breakfast, which I highly recommend! 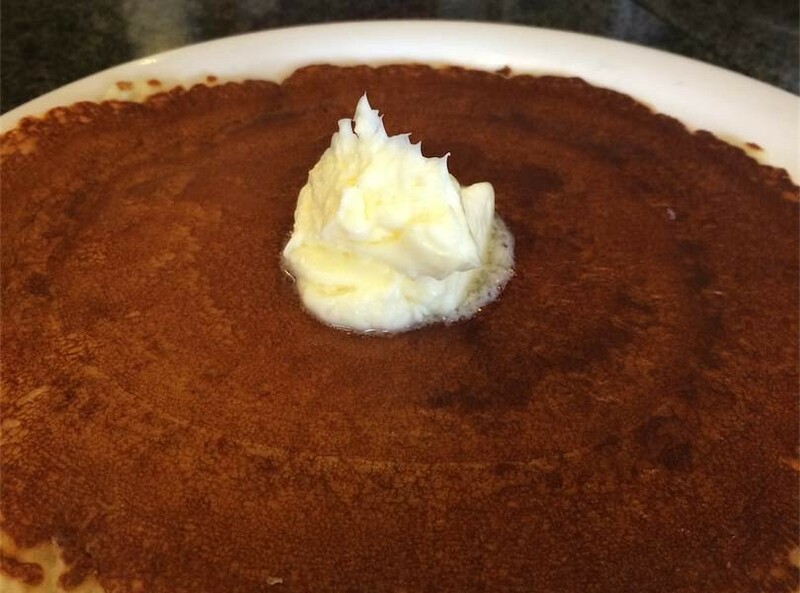 Liliha Bakery is one of the only places where you can have breakfast for dinner any time of the day, 24 hours a day! Except for Mondays though, which is the one day they are closed. Some of the staff members have been working at the bakery for 30 plus years and they take a lot of pride in serving the community. Coming here for many years myself, I’ve established a lot of friends that work behind the counter, and it is always nice to be greeted by them. Nothing beats a personalized experience, especially when it comes to your local neighborhood. You can find me at Liliha Bakery at least two times a week talking story with the seniors that have been eating there for more than 40 years. Every day, someone from Liliha’s beginnings is at the counter, and it’s always nice to hear their stories of growing up in Liliha. The warm smells of sweet bread waft from the oven and it’s here that I find the comfort of the Islands. My personal recommendations at Liliha Bakery include the butter rolls, Coco Puffs, pancakes and the Country Scramble (just like mom’s!). Saturday and Sunday breakfast hours are always packed, so be sure to arrive before this rush or wait till after lunch. Liliha Bakery now has a new location on Nimitz Highway, next door to Zippy’s! Enjoy!